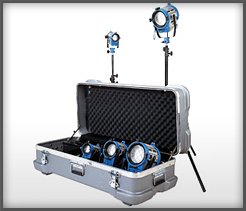 We have all the las vegas lighting rental equipment you need for your next production. 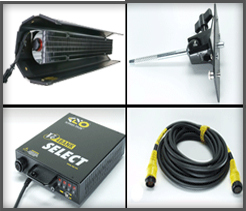 Scroll down to find the right fit, temperature and product for your next shoot. Let us bring our years of experience to your set and make it the best possible production it can be. Call us today for your free quote. Versatile units designed for the rigors of run and gun video production. 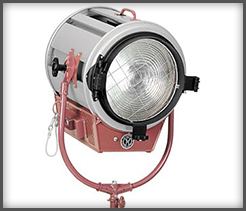 The Image 80 fixture produces a soft, shadowless display of daylight or tungsten quality light (CRI 95) that can be controlled without dramatic shifts in color. 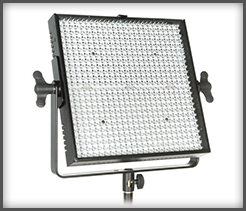 Image 80 features include adjustable Yoke Mount, Gel Frame, Louver, Instant-on, dead quiet and True-Match® daylight and tungsten lamps. 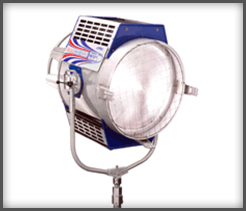 For Motion Picture, TV Studios and Location lighting. 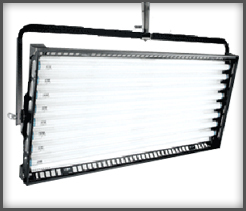 Excellent for lighting large areas that require maximum coverage with a minimum number of units. The three panels of globes swivel for beam control. Each globe has a separate switch. Connection is 3 circuit panel mount camlock. Excellent versatility and precise color when on the run. An essential piece of equipment and standard on any set. Designed for Quartz Tungsten-Halogen globes. 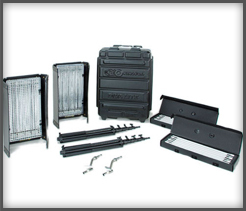 More compact, lightweight aluminum housing with high performance and low maintenance. Front opening door. Easy portability for location work. Accessories fit in wide Diffuser Clips. Front and rear Molecool Paddle Keyed to graduated spot-flood scale. Spring loaded socket contacts for positive grip. Equipped with safety screen. Designed for Quartz Tungsten-Halogen globes. 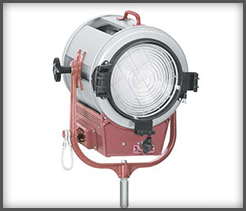 More compact, lightweight aluminum housing with high per­for­mance. Front opening door, accessories fit in wide Diffuser Clips on front door with no light obstruction. Front and rear Molecool® T-Handles keyed to graduated to spot-to-flood scale. Molecool® locking knob on yoke. Spring loaded socket con­tacts for positive grip. Equipped with safety screen. 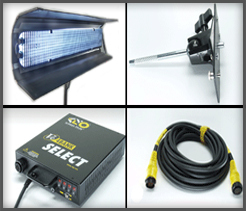 An essential piece of equipment, for serious lighting applications. HMI lamps use mercury vapour mixed with metal halides in a quartz-glass envelope. 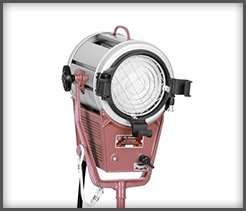 The Cinemills 12k HMI Fresnel is the workhorse of the industry. 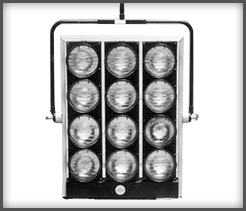 The fixture has an excellent reputation for quality and dependability, and is available with a 12k respective Magnetic Ballast. 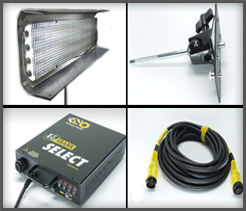 The magnetic igniter is designed to provide extremely quiet operation. 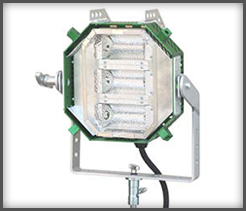 Other features include Cinemills revolutionary shock mount lamp socket system that is designed to maximize lamp life, a unique T-Handle designed to allow easy movement of the bale, and an optional locking diffusion ear. A Compact. truly soft source light. Can run on one 20amp home outlet. 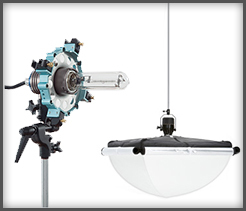 Most space efficient solution when you want central soft light for roundtable interviews. Space Saving power at your fingertips. 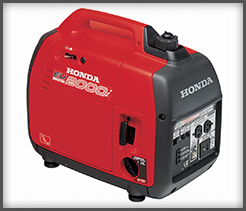 The EU2000i, lightweight generator which produces 2000 watts/16.7 amps @ 120V of maximum power. It is super quiet, 53-59 dbA and it’s perfect for your next productions power needs. 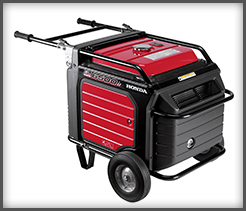 This generator is easy to carry, it weighs less than 47 lbs!! It’s very fuel efficient and can run up to 9.6 hrs on 1 gallon of gas.